We are truly honored to host the next World Rogaining Championship in 2019. Although IbeRogaine is the IRF’s youngest association, in the last years we are working hard to improve our sport level. 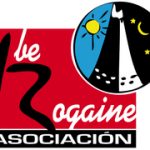 Nowadays, rogaining in Spain is a challenging sport with more than 20 competitions every season. After two European Rogaining Championship (2013, 2016) we are very proud to organize the next WRC in 2019. We are pleased to invite rogaining family to come to La Molina, located in Catalunya Pyrenees on July 27th and 28th 2019. The competition area is close to the Cadí-Moixeró National Park and it is a beautiful mixed of clean forest and high mountains. Terrain is from moderate hilly to mountainous. The highest peak is La Tossa 2536m and the lowest area is around 1300m, around Alp village. This mountainous environment provides a physically challenging terrain where minimized climbs and drops will be an important factor. Therefore, navigational capabilities and route planning skills acquire a vital importance and have been proven as an essential factor for the successful rogainer. However is not a big area (less than 150 qm2) the difference in altitude will be a relevant factor. The 16th WRC2019 event center is located 155 Km north of Barcelona, 120 Km east to Girona (Costa Brava), and 190 Km to Toulouse (France), core of a touristic region with a lot of points of interest. The transport and accommodation facilities will be another great factor for this competition. Catalunya will allow you to enjoy both the rogaining and local attractions, will be an unforgettable experience as well, while visiting beautiful towns like Vic, Besalú, Girona, Barcelona, small villages in La Cerdanya, la Garrotxa, el Ripollès o el Berguedà, natural areas in alpine mountains with several National Parks and breathtaking beaches in the Costa Brava. We are starting this month with the web page, although some things are still under construction, you can found the first bulletin with early information. We hope this webpage will be useful. On behalf of the organizing team, we would like to invite you to visit Catalunya and participate in the rogaining most important competition in the summer of 2019!